Thirty-three eminent gardeners on their favorite rose Among the plant kingdom, Rosa is a relatively small genus, comprising only about one hundred species around the globe. But as these species intercross, they have given rise to as many as thirty thousand cultivars, making the rose perhaps the most various of all plants grown in gardens-and one of the most treasured. 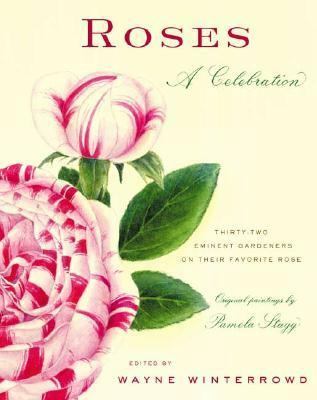 This one-of-a-kind collection gathers together thirty-three eminent gardeners and rosarians, including Graham Stuart Thomas, Christopher Lloyd, Thomas C. Cooper, Joe Eck, Michael Pollan, Anne Raver, Page Dickey, Thomas Christopher, David Austin, Peter Beales, Dan Hinkley, and Jamaica Kincaid. Each writes about a favored rose--Rosarie de l'HaWinterrowd, Wayne is the author of 'Roses A Celebration', published 2003 under ISBN 9780865476615 and ISBN 0865476616.